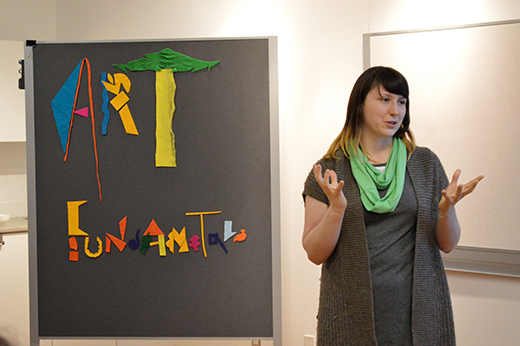 For the February Art Fundamentals, we welcomed artist Marisa Pahl for a workshop entitled A Daily Creative Practice: Using Mental White Space to Build Laser Focus. 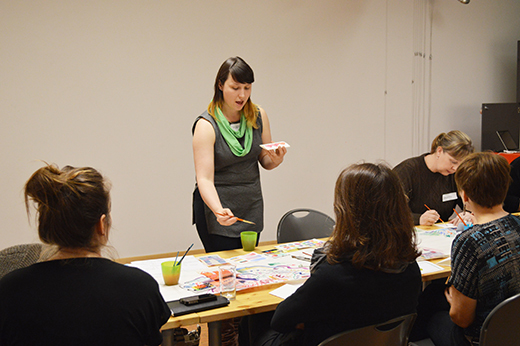 Marisa facilitated a very dynamic and engaging dialogue, creating an environment where both artists and educators felt safe to share important concepts, resources and the challenges of their own practice. Marisa also expanded on the idea of establishing a "daily creative practice" and the importance of creating space in our busy lives to build our own artistic discipline. She shared a valuable resource referencing this practice of making creativity a habit in our lives. 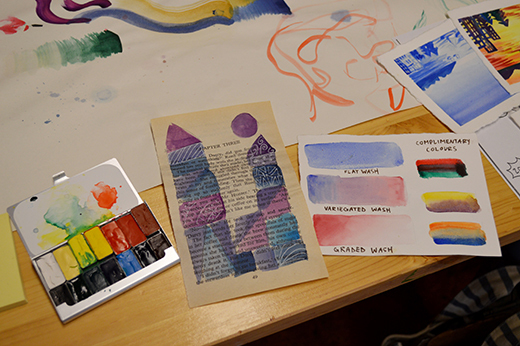 Marisa handed out individual travelling watercolour kits that became the main medium for participants during this session. 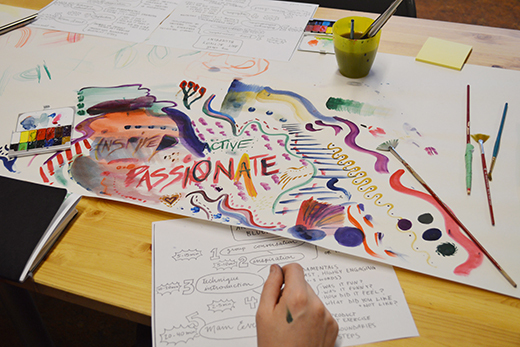 They had the opportunity to sketch and illustrate mind maps on a large communal roll of paper, as an ongoing dialogue focused on reflections about taking creative risks and the benefits of creating a mental white space. Participants appreciated the opportunity they had during this session to discuss the theory and the realities behind their individual approach to teaching. They also demonstrated through deep reflections their commitment as artists and educators who are implementing innovative tools and resources in the classrooms as they empower young people through the arts. 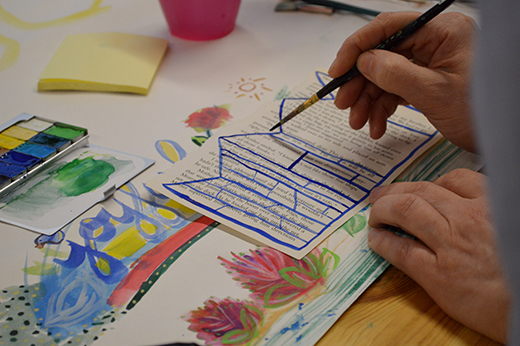 As a way to strengthen their creative confidence, Marisa shared with the group some of her daily exercises that, far from being intimidating, were an invitation to empower participants to understand creativity as a process they can access anytime, regardless of their artistic skill. 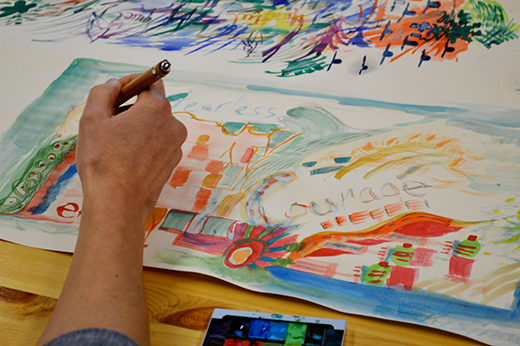 "I realized I do a lot of daily practice, both as an educator and an artist. My plan is to document these processes to understand them more." 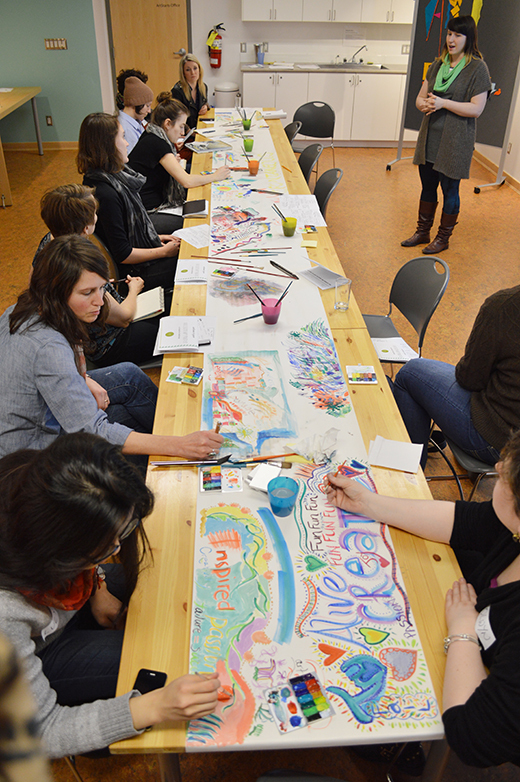 "It was a fantastic workshop, beautifully facilitated. Marisa was engaging, inspiring and extremely personable." "Great value! Excellent presenter with interesting ideas and research. Useful ideas." 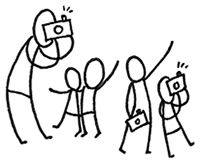 "Well prepared workshop, the structure was great and allowed people to paint/doodle while listening to the presentation." 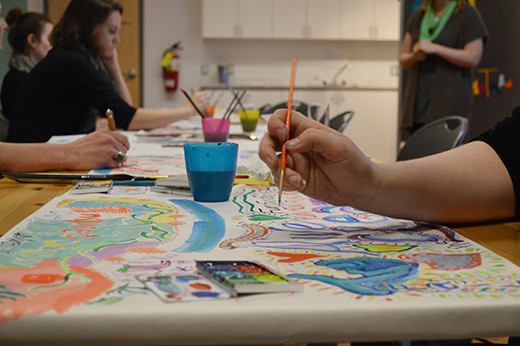 "This workshop really got me thinking about how we approach creativity as a topic in the classroom." Thanks to Marisa for sharing her valuable insights and engaging exercises that motivated everyone to continue exploring on their own creative journey! from this event on Facebook!